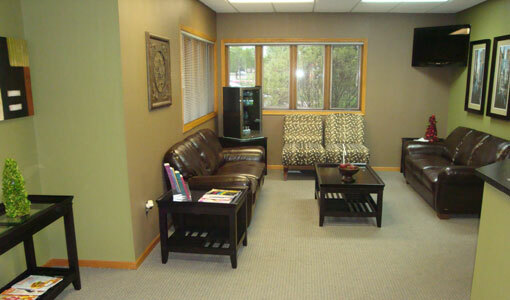 Our "make no compromises" philosophy places our practice in the top 1% of endodontic practices, nationwide. Indeed, many of the advances in endodontics in the last 10 years have been adopted by our office soon after introduction. One example of this is the use of microscopes for advanced magnification. The Zeiss Microscopes used in our office are, in our opinion, the best optical enhancement tool available to root canal specialists. 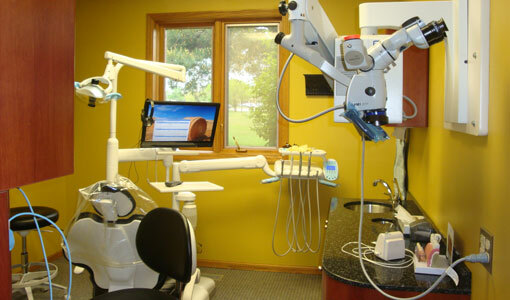 The use of this state of the art equipment, ensures you will receive the most thorough treatment possible. Our office is well known for its Commitment to Excellence. Since 2005, we have used ZEISS Surgical Microscopes, and in December of 2009, we completed a total remodel of the office, including digital radography, new dental chairs, and TDO or The Digital Office operating software. Our latest technological advancement is the use of the Kodak 9300 3D CBCT Scan. This is 3D imaging that allows our doctors to diagnosis and treat complex cases. These changes have rocketed us well into the 21st century. 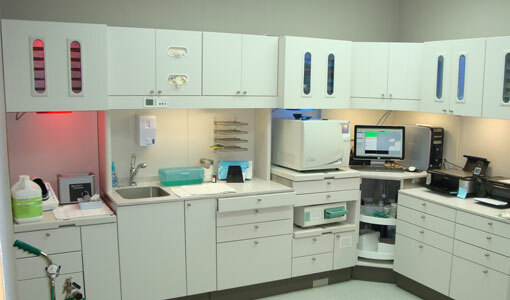 The state of the art "sterilization area" is another way we maintain our 100% commitment to patient centered care.